What are the Advantages of Personalized Email Addresses? You can create a unique, recognizable email address that uses your domain name ("[email protected]"). With the right account, you can create multiple email addresses for your domain name. Customers, business partners and other recipients immediately recognize the origin of your incoming messages when you use your email address associated with your business domain name. The generic free "@msn.com," "@hotmail.com" and "@yahoo.com" domains do not provide email senders and recipients with this convenience. NOTE: All of our email accounts are 100% ad-free and include generous disk space, Webmail access, and state-of-the-art anti-spam and anti-phishing technology. MSN Free Hotmail®, Yahoo!Mail® and similar types of free email addresses are popular and easy to set up. However, such free email addresses can present their users with a number of inconveniences that can be avoided with our robust and richly featured personalized email addresses. With many free email accounts, users share their email domains (e.g., "@hotmail.com," "@msn.com," or ".yahoo.com") with millions of other users, which makes it difficult to create a truly unique email identity for you and/or your business. Users of MSN Free Hotmail, Yahoo!Mail, etc. are frequently pestered with unwanted advertisements. 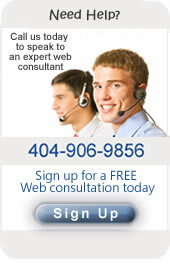 Ad placement is one of the main reasons that these providers can offer their services for free. Many free email networks are prone to attacks by phishers, pharmers, hackers, crackers and other cyber crooks who attempt to steal sensitive information or plant email worms, Trojan Horses and other malware. You might lose your account if you do not use it within a certain time. Sure, that is not a big deal if you use it only for casual, occasional contacts. However, if you use this email address for important things such as registering at Web sites, it can be a hassle. It can be difficult to get an email address that is easy to use or remember. Due to the high volume of users, the risk of selecting an email address that is already taken is high. Some of these free email accounts may include unwanted advertising insertions in your outgoing email. Do you really want to be advertising an email provider's promotions when you are applying for a job, registering a complaint, or communicating with friends? When you use these free email accounts, you share your Internet domains with millions of other users and risk having your email address blocked by recipients that block entire domains from their inboxes. Our personalized email accounts further ensure that your address is not mistakenly blocked. You are unlikely to be blocked unless you actually distribute spam or make your communication unwanted. Our personalized email addresses allow you build a distinctive, unique Web presence for yourself or your business. A personalized email account shields you from potential spam barrages that free account users often face. We recommend selecting one of our robust, unique, personalized email accounts that work with and promote YOUR domain name.